On May 28, the Federal Housing Finance Agency (FHFA) reported that mortgage rates overall were nearly stable in April, changing by a mere 2 basis points. The same was true for the subset of mortgages used to purchase newly built homes. 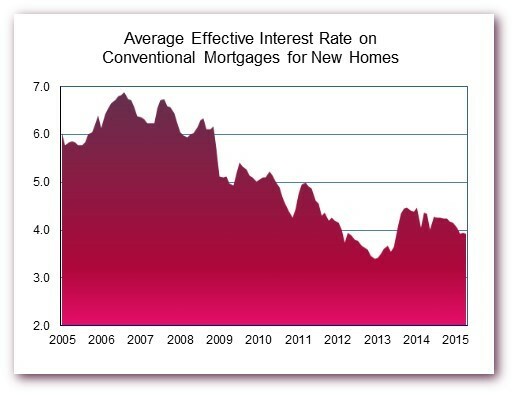 The average contract interest rate on conventional mortgages for new homes edged down by 3 basis points, while the average initial fees on the mortgages increased. The combination caused the average effective interest rate on new home loans (amortizing the initial fee over the estimated life of the loan) to drop by only a single basis point, to 3.92 percent. 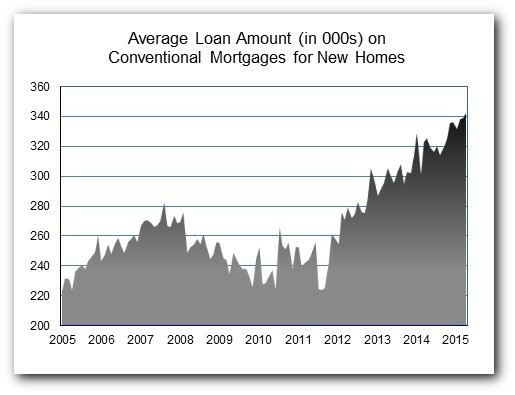 The terms on conventional mortgages for new homes have been generally stable for the past three months. Meanwhile, the average size of conventional mortgages used to purchase newly built homes increased by $3,000, or 0.9 percent, to $342,000 in April. The average loan size set a record high in February and has continued to edge upward ever since. 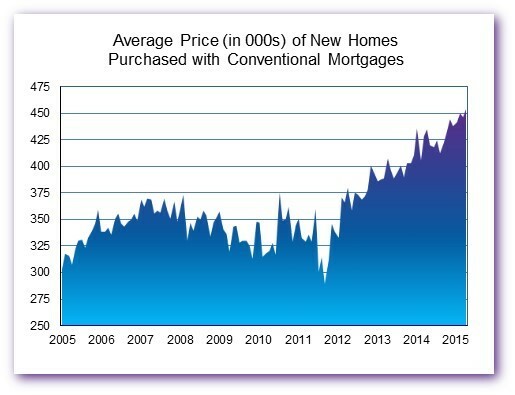 The average price of a new home purchased with a convention loan also increased in April. The size of the increase was $7,500, or 1.7 percent, taking the average new home price up to $453,200. This is also a record high, as well as the first time the average price of a new home purchased with a conventional mortgage has been over $450K. This information is based on FHFA’s Monthly Interest Rate Survey (MIRS) of loans closed during the last five working days in April. For other details about the survey, see the technical note at the end of FHFA’s May 28 news release.